I have decided to compile the list for the sake of those who find it difficult selecting which leagues are the best for the o/v 2.5 goals.From my research and experience the following leagues have a very high chance of producing results at least up to 89-90% chance-this is not to say that they are 100% perfect but at least you will make profit from playing these leagues. These are leagues that i have personally played and i've found them very useful. To use these leagues go to soccervista.com and see if any of these leagues are available for the day, look through the matches and select the one with the highest predicted scoreline. Please avoid accumulations as one match may not turn out as predicted. To profit from these leagues just do the opposite of what you do when selecting for over 2.5 goals ie go for the match with the lowest predicted scoreline. Have you heard of the new income opportunity that turns $18 into $1,000 in 4-8 weeks? you won't make any headway until you learn how to discipline yourself and not stake on every match that looks attractive to you. You need good money management skills and learn to avoid competitions that will put a hole in your betting account-example is FA cup. We found this weblog very great and we wanna thank you for that. We hope you keep up the great work! Amazing blog you have! 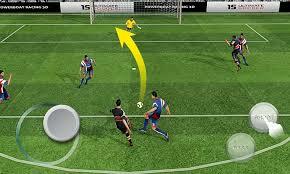 Get best online soccer betting experience with Fixed Draw Soccer Pool. The most amazing things about this casino site and it offers 50% sign up bonus to its player. For exactly verified soccer tipsters visit verified soccer tips today. Try Your soccer betting luck today with us! Thanks... I have a good predictions site and have been winning consistently For the past 14 days with their daily two odds. Kindly chat me up on whatapps,, +2348168151958 I will link you up. Thanks for your all posts, things which you post are the great thing. Good luck.